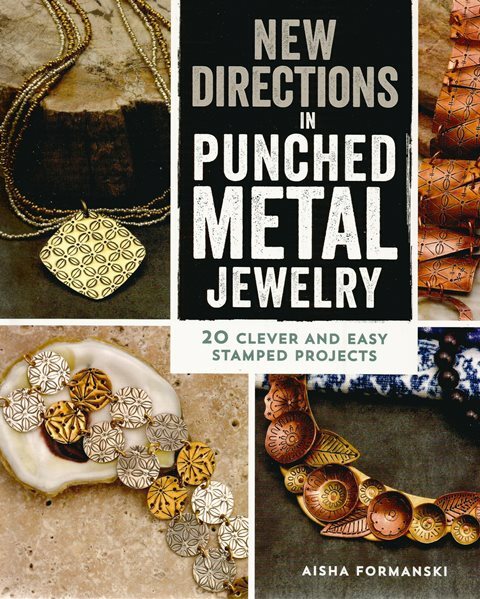 New Directions in Punched Metal Jewelry by Aisha Formanski allows you to discover a simple technique that creates striking and original results. 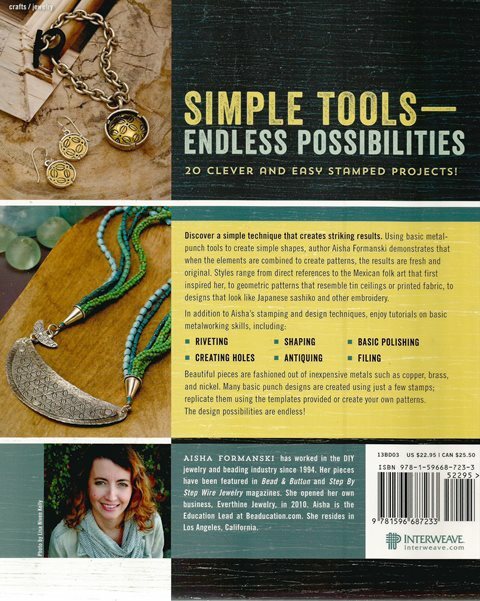 Using basic metal punch tools--dots and lines--author Aisha Formanski brings a fresh approach to jewellery making inspired by Mexican stamped tin mirrors. Styles range from direct references to the Mexican folk art that first inspired her, to geometric patterns that resemble tin ceilings or printed fabric, or to designs that look like Japanese sashiko or other embroidery. In addition to Aisha's stamping and design techniques, enjoy tutorials on basic metalworking skills: * Riveting * Creating holes * Shaping * Antiquing * Basic polishing * And filing Aisha focuses on inexpensive metals such as copper, brass and nickel as she shows how to create basic punch designs with just one stamp. She then demonstrates how the same design can be elaborated using two, then three or more different punches. The design possibilities are endless!